Diamond Creek’s pet grooming salon offers everything your pet needs to go home fresh, clean and pampered. We want your pets to look and feel their best! Personalized appointments with our professional groomers are available six days a week. Our services range from bathing to show ring trimming, with luxurious pampering packages. Start to finish service with cage free drying is available upon request. Indulge your canine companion with our lavender “Relax” treatment! 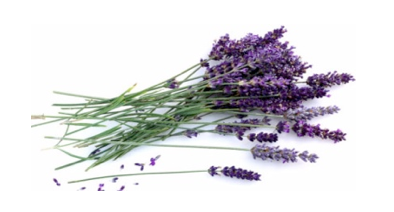 Lavender has many beneficial properties including antiseptic, analgesic, antiviral and bactericide to name a few. 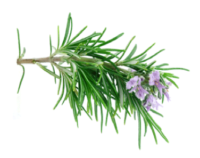 It is an all-natural anti-itch remedy, and has been known for centuries to act as a central nervous system relaxant. Our “Relax” shampoo is hypoallergenic and hand mixed with Young Living™ lavender, tangerine, orange, ylang-ylang, patchouli and blue tansy essential oils to promote calming and confidence. Your best friend’s bandana and coat will be treated with Lavender and mixed oils that will keep your pet relaxed and smelling decadent long after they leave. A full brush out for long coated breeds or a full de-shed for short coated breeds. Nail trim or file and application of Animal Scents™ soothing salve to heal dry/rough pads. Ear cleaning with our all-natural therapeutic ear cleanser. Trial-size bottle of our "Relax" lavender calming spray to take home. Sensitive skin? Here’s your solution. Our “Renew” package caters to our best friends with delicate skin or that which has been compromised by hot spots or dermatitis. This package uses minimal ingredient products while incorporating mild essential oils to help heal and calm the skin. The treatment starts with a bath in our hypo-allergenic, fragrance and dye-free shampoo or Tea Tree oil shampoo. After bathing, your pet is treated with Micro-Tek leave-on spray. This spray is antimicrobial and helps control fungal, bacterial, and viral skin conditions; it provides relief for biting, licking and itching upon contact. After drying and styling, the coat is treated with our “Renew” mist of Young Living™ Purification® essential oil (a blend of: citronella, rosemary, lemongrass, tea tree, lavandin and myrtle oils), topped off with a bandana and a trial size of “Renew” spray! A bath with hypoallergenic OR tea tree shampoo. Trial size spray bottle of "Renew" spray. Fleas and Ticks? No problem. Our Repel package combines 6 essential oils in a shampoo, spay and topical spot treatment to remove and repel fleas and ticks from man’s best friend! Unlike other flea and tick treatments, ours combines nature’s forces to provide a non-toxic alternative to other chemical topicals. Citronella, rosemary, lemongrass, tea tree, lavandin, and myrtle essential oils are combined in a hypo-allergenic shampoo to wash away fleas and ticks. Our “FLEAT!” spray combines the same ingredients in a spray form and is applied to your pet before drying. Once dried and styled, our all natural top spot is applied to keep fleas and ticks away for weeks!! A bath with our natural flea/tick shampoo. Nail trim or file and application of Animal Scents™ soothing salve to health dry/rough pads. Trial size spray bottle of our "FLEAT!" insect repellent.